Once a month we organize a weekend-long dressage clinic with Irish Olympic Dressage Team member James “Shea” Walsh. Shea has the background and experience to produce horse and rider to the very highest standard. He has received instruction from some of the best trainers in the world including former German Team trainer and two-time Olympian Harry Boldt, legendary German trainer and riding genius Herbert Rehbein, Dutch Team trainer Bert Rutten and Herbert Krug. 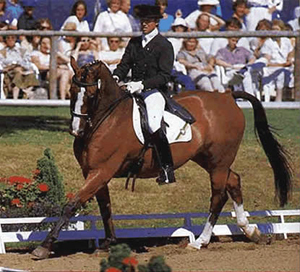 In addition to competing in the Seoul Olympics, Shea has contested World and European Championships through national and international competitions in Switzerland, Germany, France and England, including the definitive international dressage competition, Aachen. In the United States, he earned his USDF Bronze, Silver and Gold medals all in a single year. Shea is an advocate of the training methods of classical dressage and is currently based in Jacksonville, Florida. Shea is committed to developing both horse and rider correctly and is as dedicated to helping the novice dressage rider as he is the international competitor. He welcomes horses of all breeds and riders of all abilities. To reserve a spot or obtain additional information, please contact Susan Hopkins at 336-376-8250 or email carrollsbm@aol.com. On-site stabling is available for trailer-ins.